Our gut. Usually it is not a part of the body we think about unless something is going wrong. 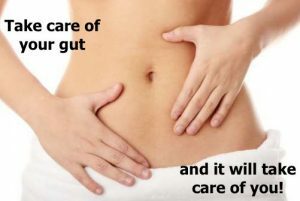 So what is so important about the gut? The gut is made up of feet of intestines, with a whole world of microorganisms called flora. The flora is crucial part of how the food we eat gets digested. It is very easy however for the flora to get unbalanced. It can become unbalanced from the food we eat, if we are on antibiotics. Once the flora becomes unbalanced we begin to suffer. It can be a simple as indigestion and constipation/diarrhea. To larger problems like irritable bowel syndrome (IBS) or leaky gut. These are more serious and can wreak havoc on our lives. We often refer to our gut as the source of our intuition. We say “trust your gut” or that “gut feeling”. Though it is so easy to take our gut for granted. The gut incorporates two major chakras. The second Svadhishthana or sacral chakra is in the lower abdomen and represents our reproductive system and rules our emotions. The other is the third chakra Manipura or solar plexus/navel chakra it governs our digestion, adrenal glands and will power. It can be the source of our courage. When things are out of whack in our lives, this can affect our digestive system. When we get nervous we may get a belly ache. When we are constantly stressed we may develop chronic digestive problems. In this era of constant information and busyness, it is easy to get overwhelmed and overload our digestive system. How do we begin to heal ourselves s? To find true healing we need to look at both the physical and emotional. Looking at our lives and seeing what areas are making us feel stuck or stressed. Perhaps we need to try yoga or mediation. For the physical, trying probiotics and digestive enzymes. Eliminating foods such as wheat, dairy and soy to find relief. Remembering that the gut is the source of our intuition. When it becomes unbalanced taking the time to stop and look into what is bothering us. Our intuition is always there for us, with a wealth of information. We need to take the time to slow down enough to listen to it. Take advantage of my 7 day gut health program. Begin the process of rebooting your gut health and listening to your intuition. Or perhaps you need to more individual program. Sign up for a free consultation. Great article Kelsey! 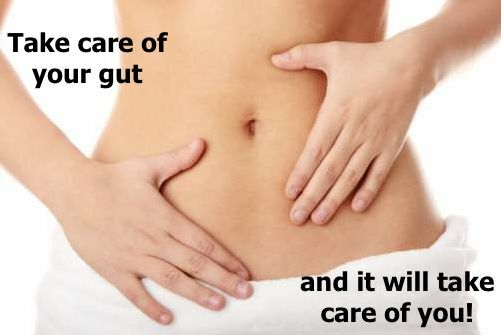 Few people know that physical and emotional factors cause problems with the gut. New reader, I’ll be back. I love how you bring intuition and chkras into healing the gut; which is a mission I’ve been on some time, and done well, using tips you speak to. Holistic Healing means we must heal the whole person, you’ve done a great job conveying that here.